How Often Should I Turn my Hatching Eggs? Many incubators now come with turning trays and can be set to automatically turn the eggs. But I still get asked by lots of people attempting to hatch their eggs either in a homemade incubator or a model without a self-turning feature how many times a day the eggs should be turned. I personally like to manually turn my hatching eggs. Maybe it's the control freak in me coming out a bit, but I feel like that makes me more of an active participant in the whole hatch process, and I feel like it helps me bond with the egglets! So the question still remains, just how often should you be turning the eggs. Before I get to that, I want to just mention a few things. When you set your eggs, you want to mark one side, so you can keep track of which side they're on. 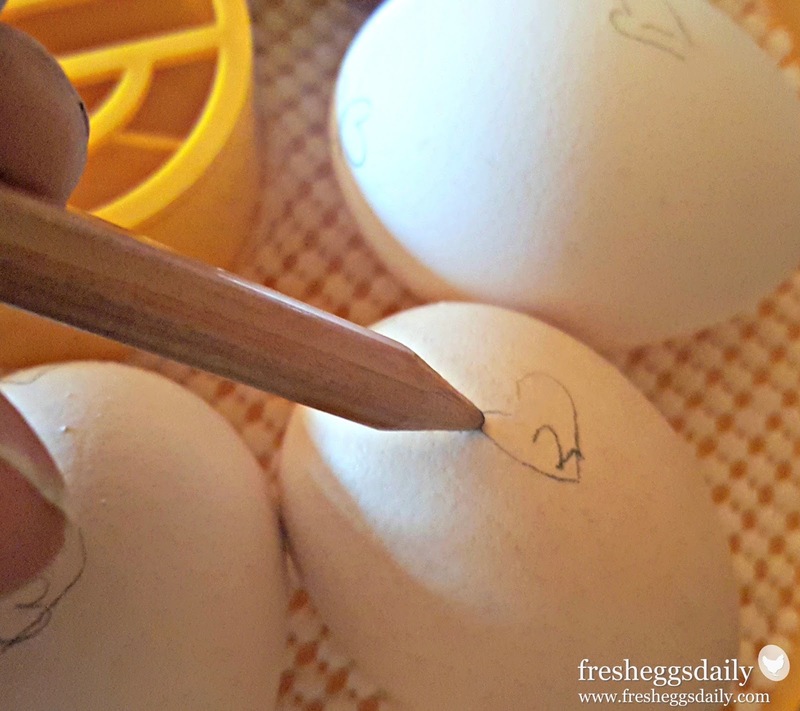 I use a pencil and number each egg. You can mark them with an X or 'name' them or whatever, but want to be careful not to use a marker that could bleed through the shell. When you turn the eggs, you're gently rotating them 180 degrees side to side, not end to end. The purpose of turning is to keep the yolk, which will tend to float to the top, centered in the egg and to prevent the developing embryo - which rests on top of the yolk - from sticking to the membrane. 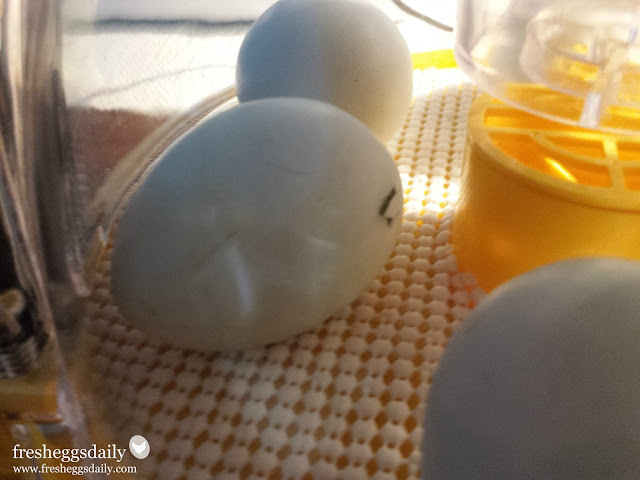 By turning the egg, the embryo is swept back into the egg white, where there are fresh nutrients that help the chick develop. The ultimate success of a hatch can often be directly tied to properly turning the eggs. 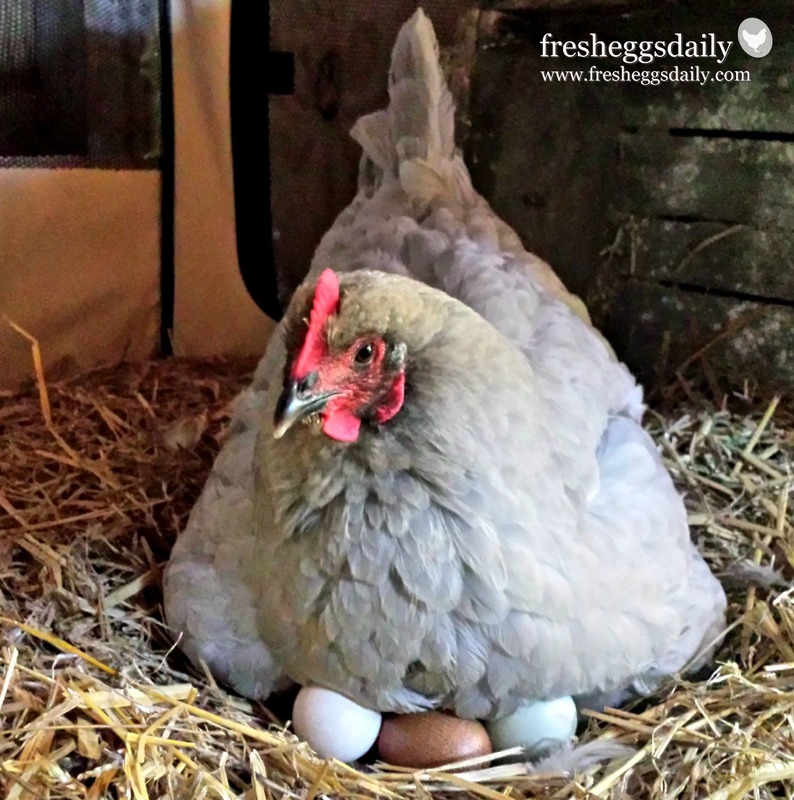 When a mother hen is sitting on the eggs to hatch them, she will not only turn them regularly with her beak, but also rotate those around the edge to the middle and those in the middle toward the edge to ensure even warming of each egg. The turning is most important during the first week before the chicks' circulation system is developed, but must be continued for the first 18 days of incubation. But...you will need to stop turning the eggs three days before they are due to hatch. This is because at that point, which is commonly called 'lockdown', the chick will get into hatch position, which basically means they position themselves with their head under their right wing and their beak positioned against the membrane separating the embryo from the air space at the blunt end of the egg. Next, their beak pierces through the membrane into the air space inside the egg and the chick begins to basically breathe the available air. Once that air supply gets low, the chick begins to kick with its feet and peck at the shell with the egg tooth until it breaks a hole in the shell and begins breathing the air in the incubator. If the egg is jostled or turned after the chick gets into position, trying to reposition itself might weaken it to the point that it doesn't have the strength to break the shell and hatch. So, STOP TURNING three days before the eggs are due to hatch. So How Often Should You Turn your Eggs? When you're using an incubator without a turning tray, the turning is up to you. Turning the eggs three times a day at regular intervals is the minimum recommended, five times a day is better. Many automatic turners will turn the eggs every hour, which is even better...and some turners continuously turn the eggs! When you're manually turning, you want to be sure that no matter how many times a day you turn the eggs, you turn them an odd number of times. This ensures that the egg is spending every night on the opposite side. That's important, since it's often a 12-hour period that egg will be sitting in the same position, so you want the egg to alternate sides each night. I generally turn my eggs five times a day: 6am, 10am, 2pm, 6pm and 10pm. Those times fit into my schedule and are easy to remember. You can set the alarm on your phone to remind you to turn which is also a good idea. I also use the numbers to remind me that the eggs should be sitting on the Numbered side on eveN numbered days. Just my little tricks. If you're considering hatching chicks, you'll want to read this day-by-day hatch guide. Duck eggs also need to be turned. I use the Brinsea Mini Advance Incubator which is fully automated and includes a turning tray, however, there is an option to turn the turner off and manually turn, which is what I choose to do. (Another tip: you can fit in nine eggs instead of seven if you take out the turning tray.) Visit the Brinsea website to browse all their incubators and also to read more information about hatching eggs. And use the promo code FRESH for 10% off any purchase from the Brinsea site. Hatching eggs courtesy of Brinkhaven Acres. And p.s. 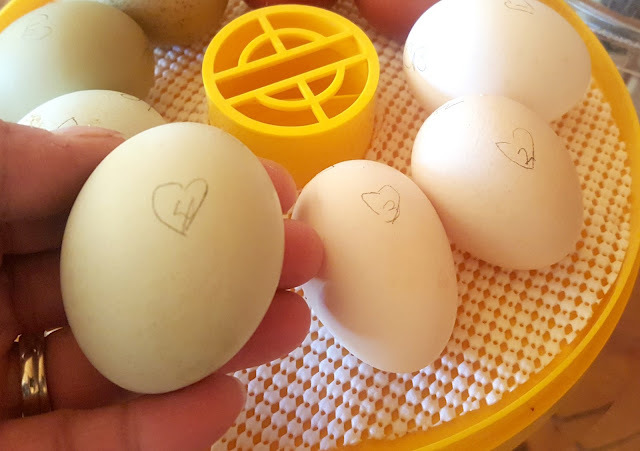 if you're collecting eggs until you have enough to put in the incubator, those need to be stored point end down at a 45 degree angle and turned as well - for the same reason.